I was sitting with a Finnish friend at a Punk pub in Hamburg during the Hafengeburtstag (“Port Birthday”). Across the table from us were some Germans, and I started talking to one of them about, you guessed it, traveling. She then mentioned that her favorite city in Europe was Madrid. I was curious as to why so I asked her to elaborate. After she was done raving about the city, I felt even more pumped about my upcoming trip to the Spanish capital. 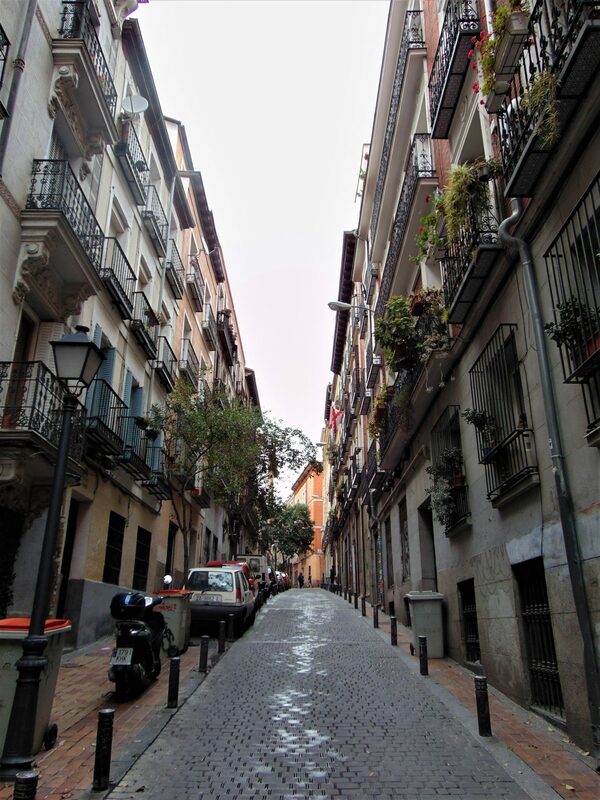 Though I am dying to visit Northern Spain or go back to Catalonia, Madrid was never high up on my priority list—which is by most standards totally out of whack. Now, that doesn’t mean I was not interested in the city; just that, hadn’t it been for the fact that my sister would be flying there a few days after me, I would have probably spent that week-off either in a different part of the country or somewhere in Eastern Europe. Still, I was obviously excited to discover a city I had never been to. Added to that was the fact that the only part of Spain I had previously visited was Catalonia, which is by all accounts very different to Madrid. Thus, I didn’t just feel like I was going to a new city but a new country altogether. 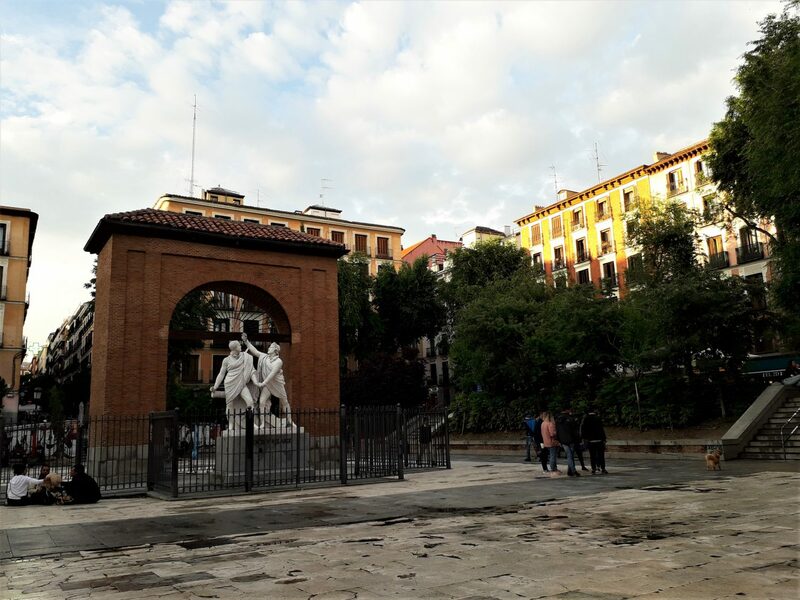 Upon touching down at the Madrid-Barajas airport, I headed straight to my Airbnb in the working-class district of Vallecas. As I walked along the backstreets around the Nueva Numancia metro station I couldn’t help but think of Mexico; there was just so much that reminded me of Guadalajara that the walk felt at times like a minutes-long deja-vu—accentuated by the Latin music that blared from open windows, yet broken by the sound of people speaking Russian in the street. I smoked a cigarette in the kitchen with one of the girls from my Airbnb. Freshly washed clothes hung outside the window so I took extra care not to get any ashes on them but am not sure I succeeded. She gave me a few tips and then told me a bit about the rising prices in the city due to gentrification and Airbnb (she herself acknowledged she was also part of the problem). 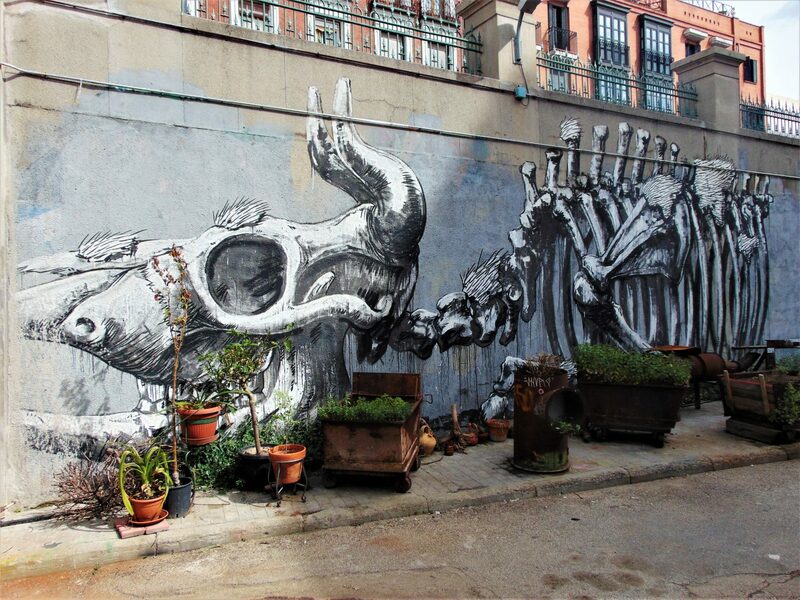 Before discovering the world of the fine arts I delved head-first into more modern and alternative artistic currents, namely in the neighborhood of Lavapiés. 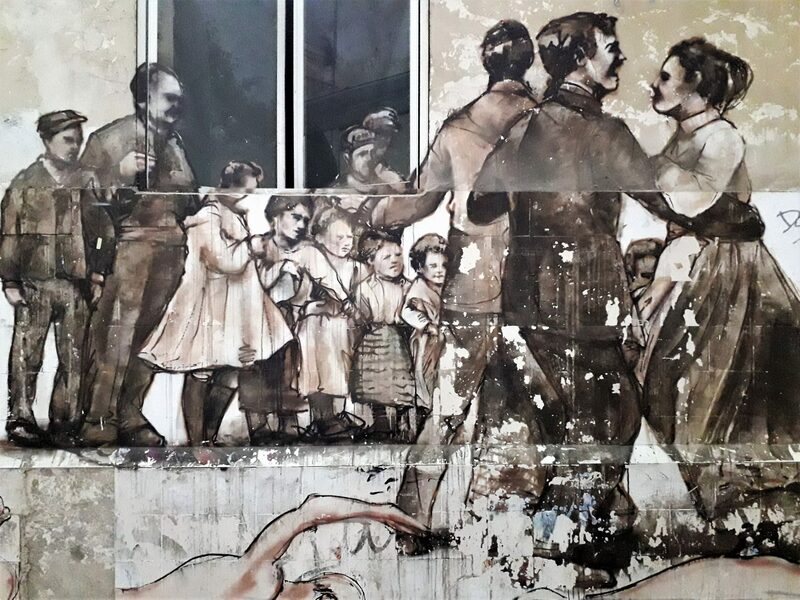 This barrio, formerly known as a working-class area with a heavy immigrant population, is now a hip and gentrified area home to book stores, cafés, and cultural centers. 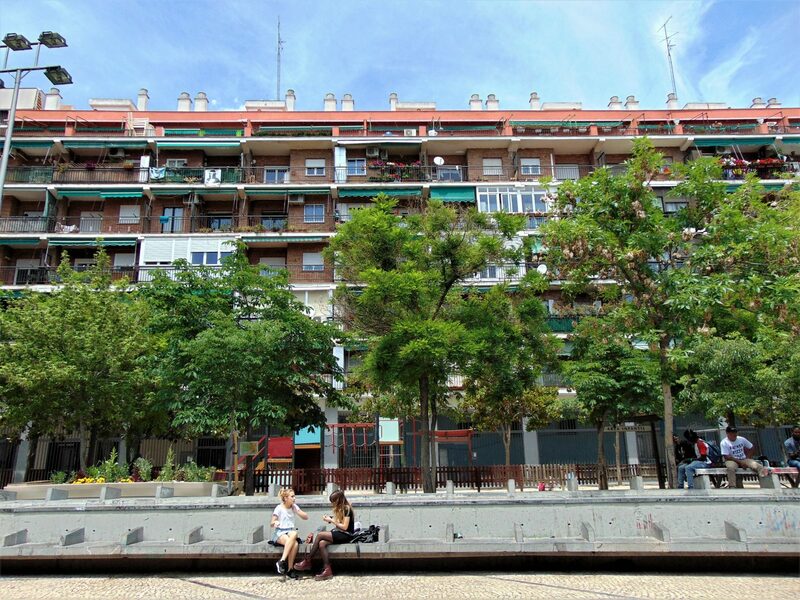 Most of the tall residential buildings of Lavapiés have been renovated, which gives the neighborhood a very clean aspect. The majority of the houses are from the 19th century and tower over the narrow streets of the neighborhood, with their balconies hanging overhead, some covered in flowers, the others bearing their wrought iron dentures. I walked, coffee in hand, past the Agustín Lara square, named after a famed Mexican composer, and hung out waiting for an old friend to show up. 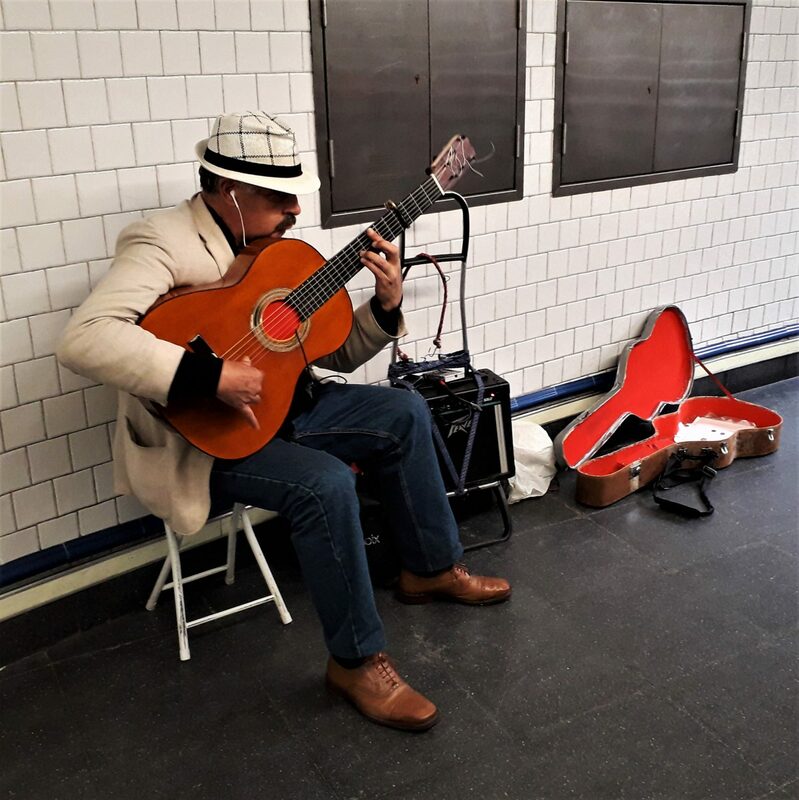 People talked, and a few played Flamenco rhythms on the guitar. Eventually, my friend, whom I met while we both were on our exchange semester in Heidelberg almost ten (!!!) 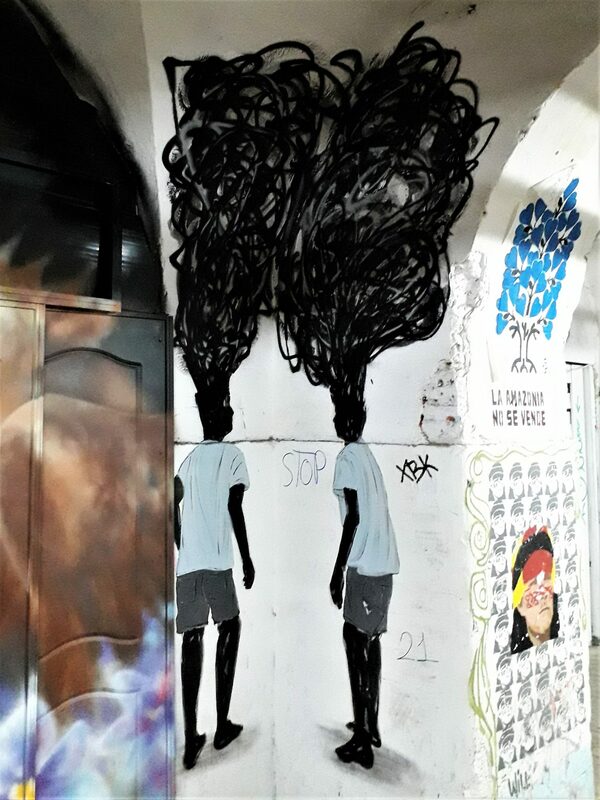 years ago, showed up and took me to the Tabacalera. 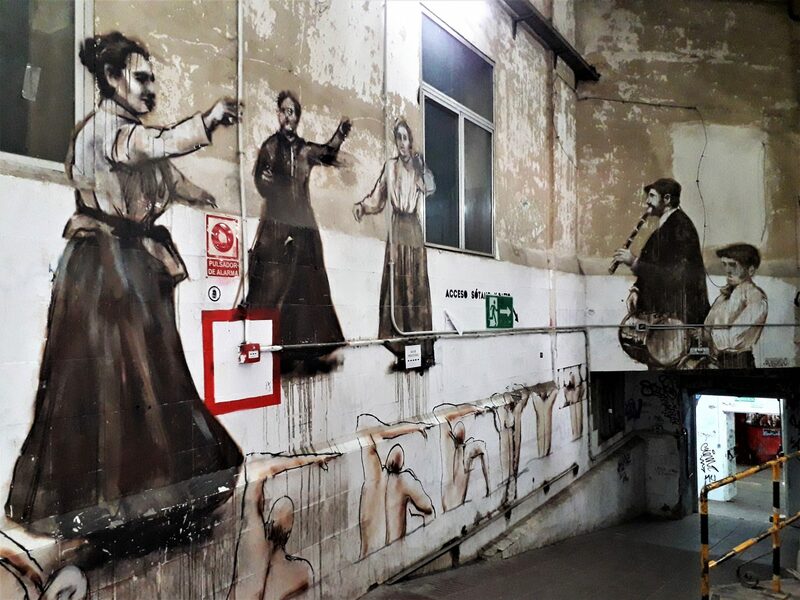 The Tabacalera in Lavapiés is an old cigarette factory that was turned into a gallery. The building is massive and is actually divided between a state gallery and a semi-squatted alternative space. I first entered the former, where they had an exhibition with the works of Isabel Muñoz, a Spanish photographer and filmmaker who specializes in fringe topics. 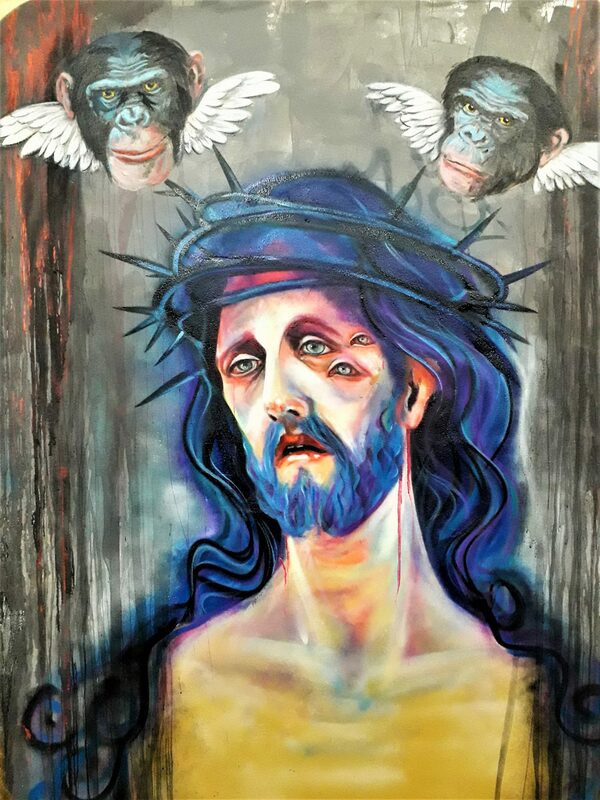 The exhibition consisted of images and video which included a disturbing Butoh performance as well as pictures of everything from Buddhists mortifying their own bodies as part of the Nine Emperor Gods Festival in Thailand to imprisoned Central American gang members. Next door is an alternative, autonomous space, which is housed in the other half of the sprawling building. 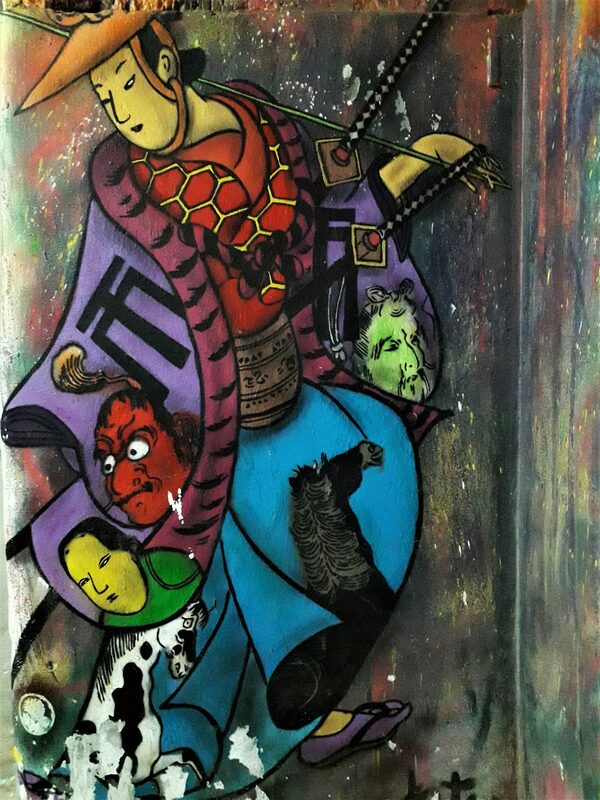 Graffiti covers both the interior and exterior walls of the place. At the entrance, two guys sat in front of typewriters. One strummed a Charango, a South American guitar, while the other sipped on his beer and listened to the raw melodies. The table was covered in freshly-typed poems. Inside, authors read their poetry, while the people around listened to them and snacked on vegan sandwiches. My friend and I wandered around the basement and the outside garden. 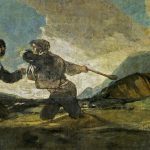 The following day I set out to find a few statues I wanted to see, and go to the Del Prado Museum. 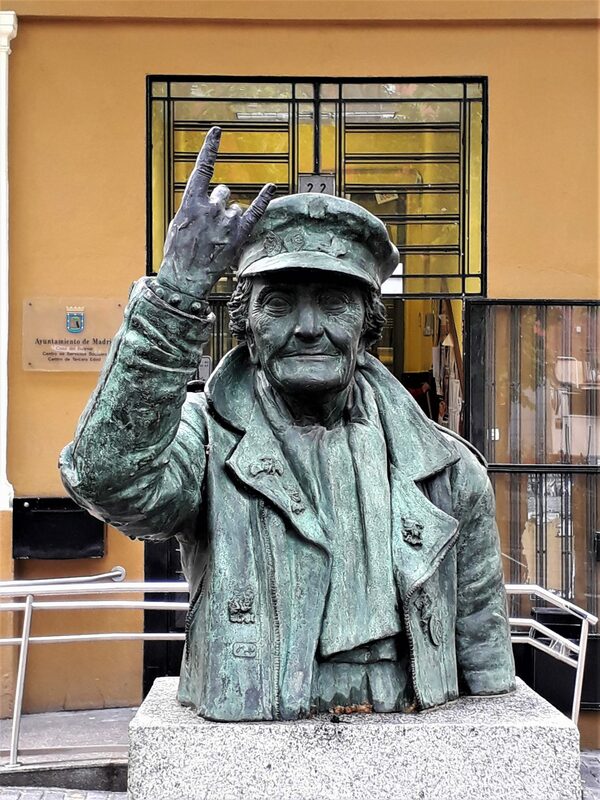 After an unhealthy breakfast of eggs, ham and fries at a local café, I walked a few blocks down the street across the Avenida de la Albufera, just off of the Nueva Numancia Metro station, to see the bust of Ángeles Rodríguez Hidalgo—Madrid’s Metal Grandma. The bust was dedicated to the “abuela rockera” after her death. Legend has it that she discovered and fell in love with Heavy Metal toward the end of her life, and embraced not only the music but the attitude with a passion. She was even featured on the cover of an album by a Spanish Heavy Metal band called Panzer. I walked back and took the Metro to the Retiro Station. 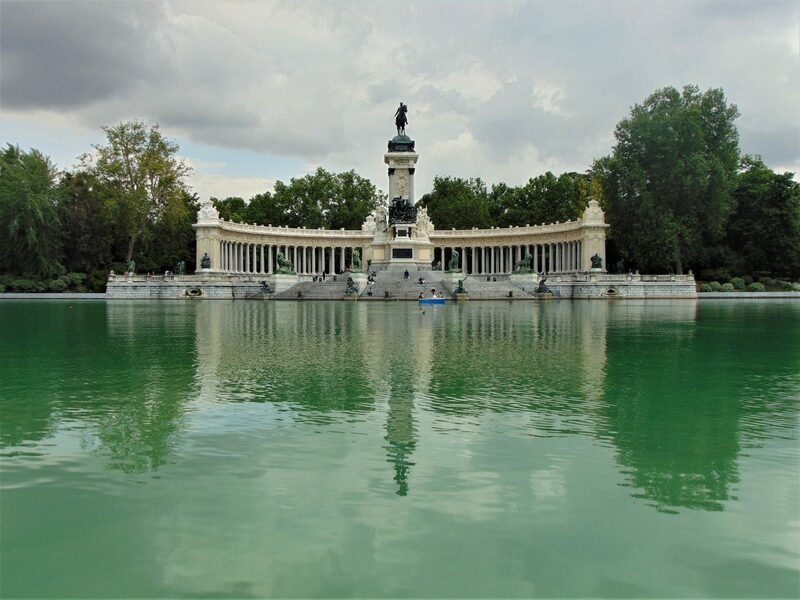 It looked like a storm was abrewing, and heavy, dark clouds hung over the skies of Madrid. 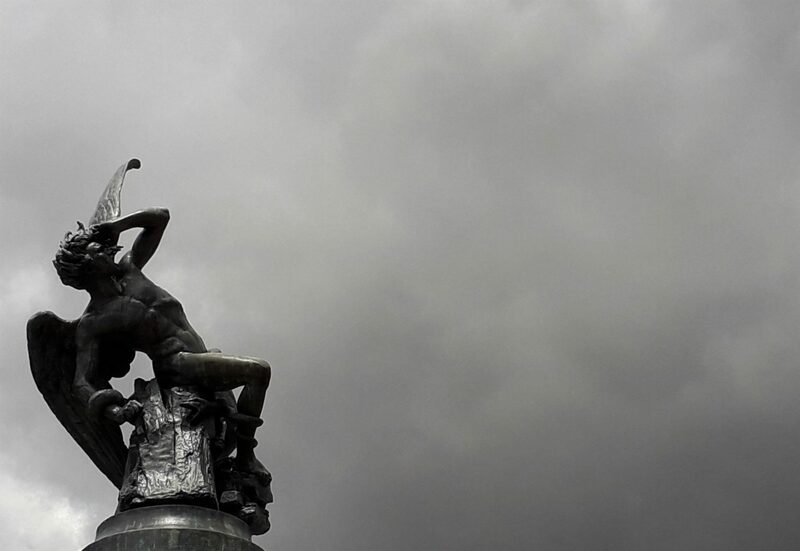 Actually the perfect setting to go see the Fuente del Ángel Caído, a famous statue dedicated to none other than the Morning Star, the Fallen Angel, the Adversary—Lucifer himself. 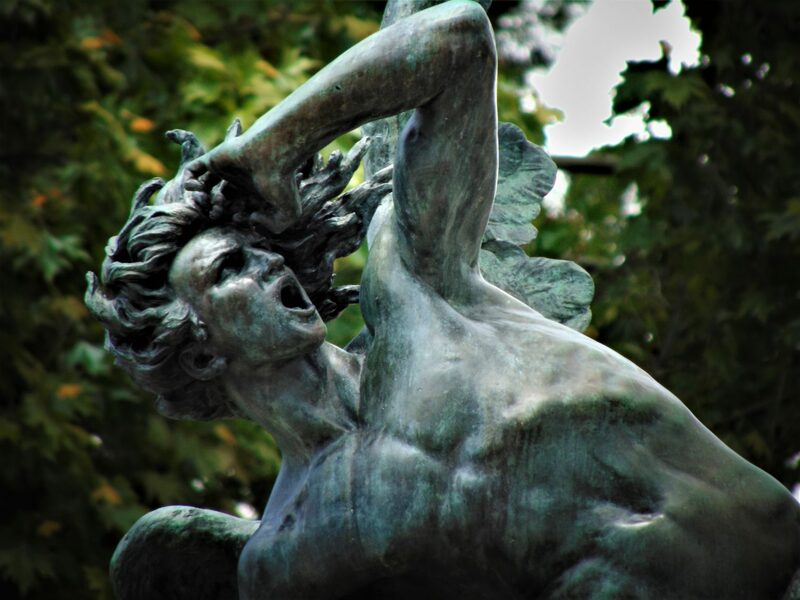 The statue, realized in 1877 by Ricardo Bellver, depicts Lucifer falling down from heaven, and stands exactly 666 above sea level. After a brief walk around the Retiro I headed toward the Museo del Prado. The museum, established in 1819, houses one of the finest collection of art in the world. I went primarily to see the works of Hieronymus Bosch and Pieter Bruegel the Elder, who are my favorite painters from the Dutch and Flemish Renaissance, and the Black Paintings of Francisco de Goya. The first wing I entered contained the works of Bruegel. I had seen some of his and Bosch’s works at the Boijmans Van Beuningen Museum in Rotterdam, but not his (in my humble opinion) greatest masterpiece: The Triumph of Death. This magnificent piece, completed around 1562, shows a recurrent topic of its era—the inevitability of death. 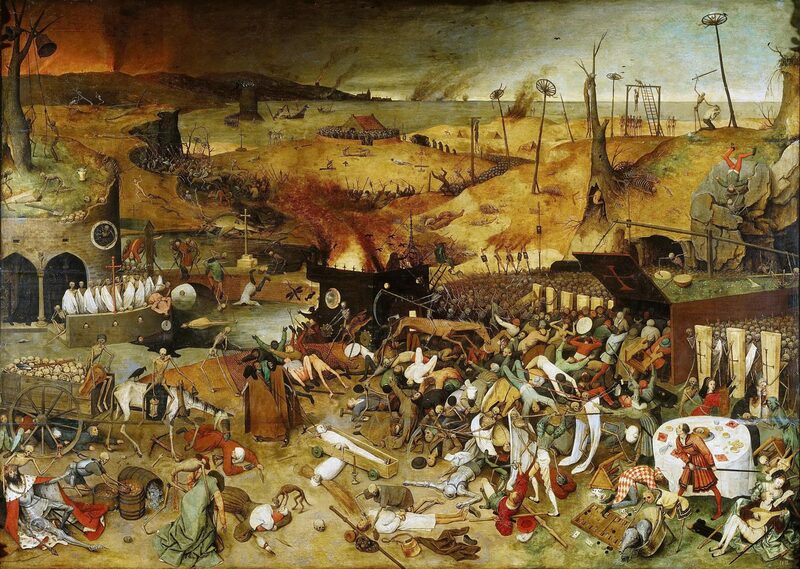 In the painting, armies of the dead take over a city, killing everybody regardless of his or her social status; from peasants to kings, we are all equal in the end. 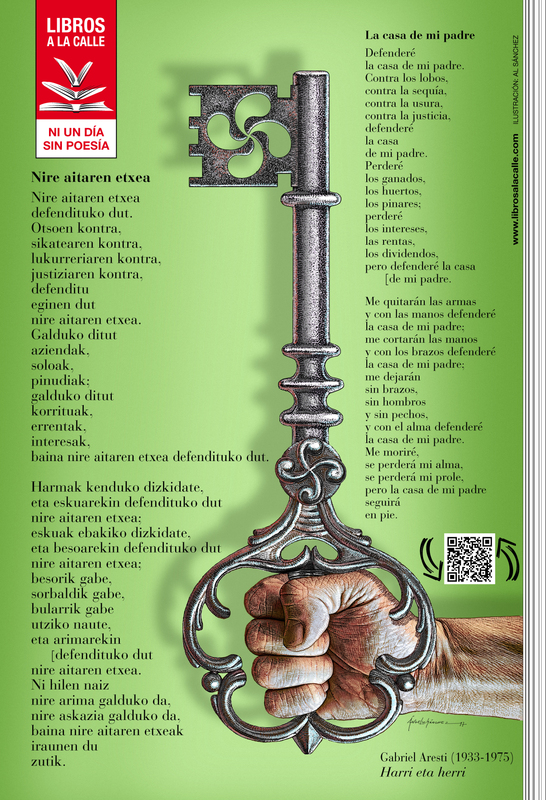 This premise is present in the motif of the Danse Macabre, which became popular when the Black Plague raged through Europe in the 14th century. The adjacent wing contained several works by Hieronymus Bosch. 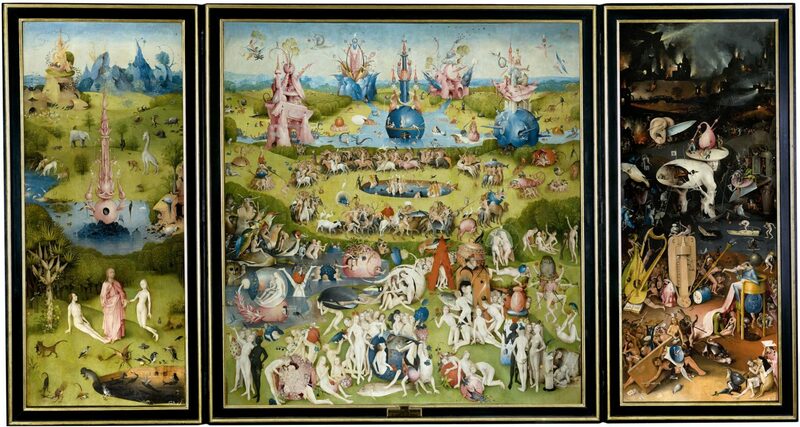 I had seen some of them, such as the Haywain Triptych, but the one I really wanted to see was the Garden of Earthly Delights. And there it was, right in front of me. This massive triptych shows three scenes: The Garden of Eden, the garden of earthly delights itself, and Hell. The middle panel shows a scene of debauchery, and thus the triptych could be interpreted in a moralistic way as showing how purity is destroyed by earthly pleasures, which eventually leads to the nightmarish depths of hell. That’s one of the main interpretations among experts, anyway, but who knows what Bosch thought when he painted those scenes full of bizarre creatures and demons. 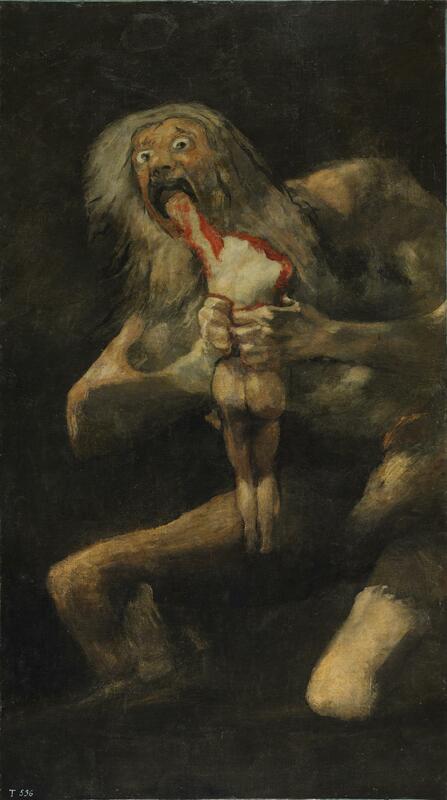 I then headed to see Goya’s Black Paintings. These paintings, fourteen in total, are known by that name due to the prevalence of dark tones. 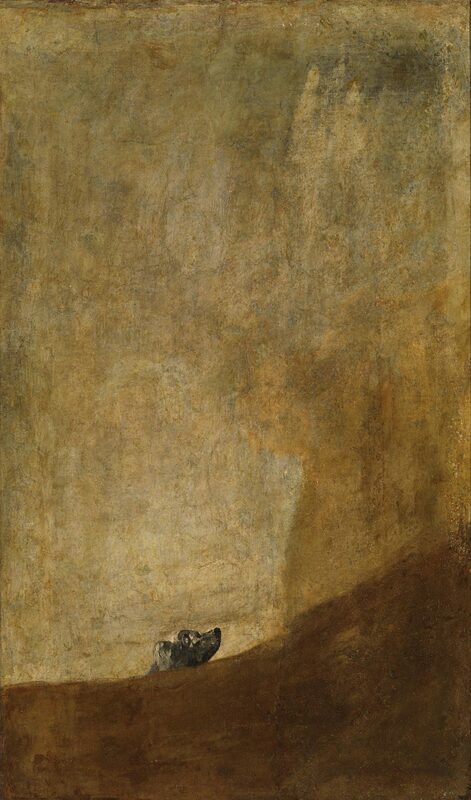 Toward the end of his life, Goya had become despondent due to illness, and retreated to a house he had purchased outside Madrid called “La Quinta del Sordo.” At this point, Goya had basically become a hermit, was almost deaf, his health was frail, his outlook on life bleak, and his mental state distraught. 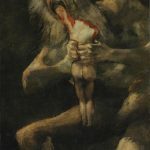 The Black Paintings are disturbing, especially considering that they adorned the walls of his house (where he lived by himself), and depict themes of despair, solitude, and violence. The facial expressions of the people in the paintings express terror and desperation. 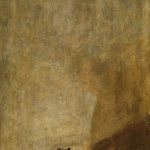 These works where not supposed to see the light of day, and thus offer a very honest and raw peek into Goya’s mind—consumed as it was by fear. I walked from one painting to the next and then sat in the middle of the room until a loud school class marched in and broke the spell of the paintings. Ever heard of Stendhal’s Syndrome? Also called hyperkulturemia, it is a psychosomatic phenomenon in which people can experience dizziness or even hallucinate when in the presence of art. Now, I didn’t experience it but was seriously overwhelmed the whole time I was in the museum. I swear I didn’t even know where to look. While I was in the museum it started to rain. 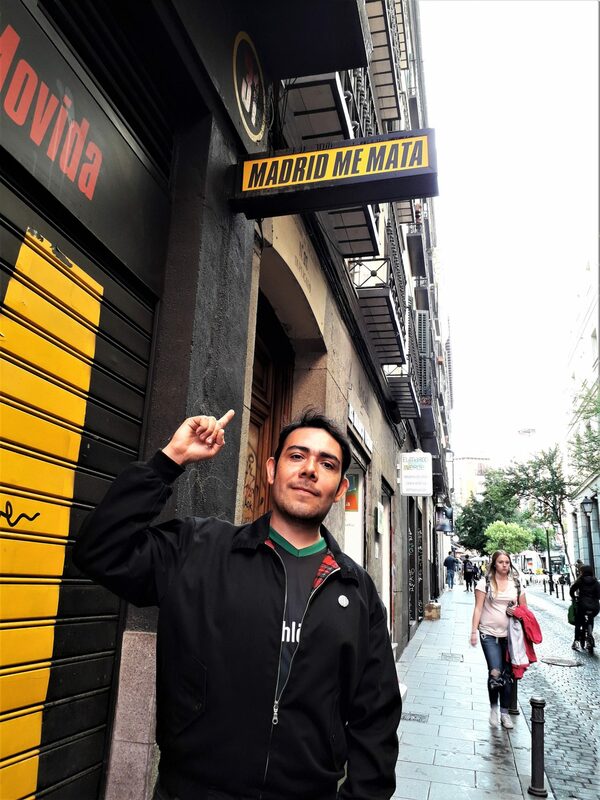 I again met up with my friend for a quick walk around Malasaña, a hip neighborhood just north of the city center which ended up being my favorite, and ate something that was not jamón serrano for the first time in days. Due to Mexico’s history and large Spanish population, Spanish food is readily available and relatively popular there. Back when I was a kid, my parents would often buy Paella from this Spanish guy who sold it every Saturday from his garage, and there was also serrano ham in the fridge from time to time. During this last visit, I made it a point to eat as best as I could over there, and maybe try a new thing or two. See, I don’t really eat out here in Hamburg. Why? Because food is expensive and, being honest, is nothing special for the price. However, eating out in Madrid is surprisingly affordable, and I definitely took advantage of that. The obvious item here was ham. And though I planned to buy ham in the supermarket to spare a few Euros I ended up eating it everywhere I went. 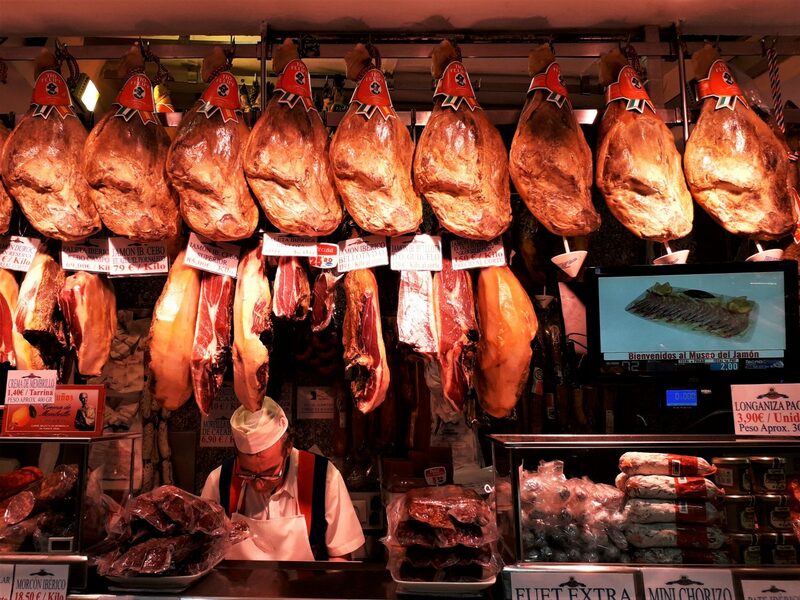 Madrileños love their ham with a passion. Even the act of properly slicing ham from the leg by hand is considered (almost) an art form. On my first night, just as Real Madrid was playing the Champions League Final against Liverpool, I went to the Museo del Jamón for dinner. 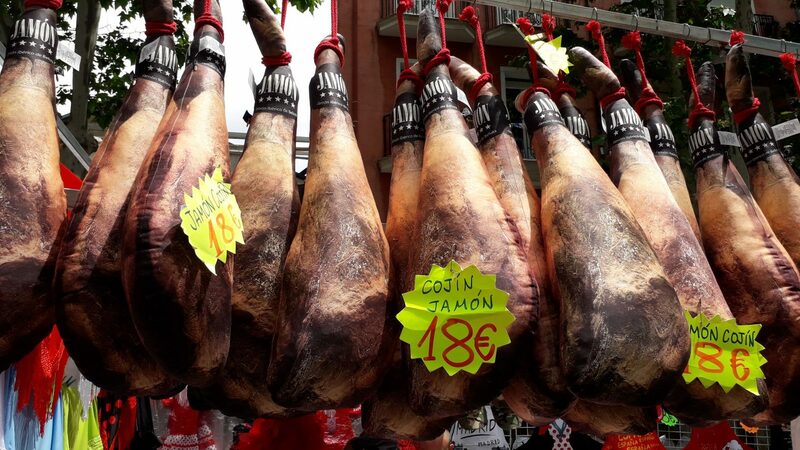 The place was so cheap and so good that I ended up going back a few days later with my sister and ate as much serrano ham as I could, plain and with sliced melon (the Spanish way). The quest for good tapas also led us to Bar Cruz in the neighborhood of La Latina. 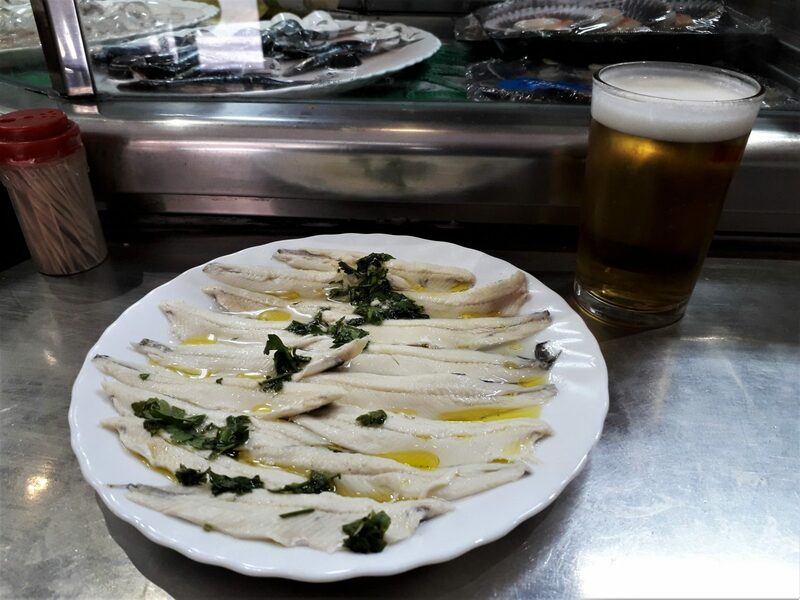 There, we ordered plates of anchovies in vinegar, and then navajas (blades), which I didn’t touch because I don’t like shellfish. The highlight there was talking to the staff, which was in a good mood and happy to shoot the sh*t with us—which never happens in Germany. Also, I was a bit surprised by the prevalence of not only pork products but also seafood despite the fact that Madrid is not a coastal city. A lot of establishments offered Paella too, though being that Paella is not traditionally from Madrid but from Valencia (my next destination), I decided to hold off on that craving and wait to get the real deal. 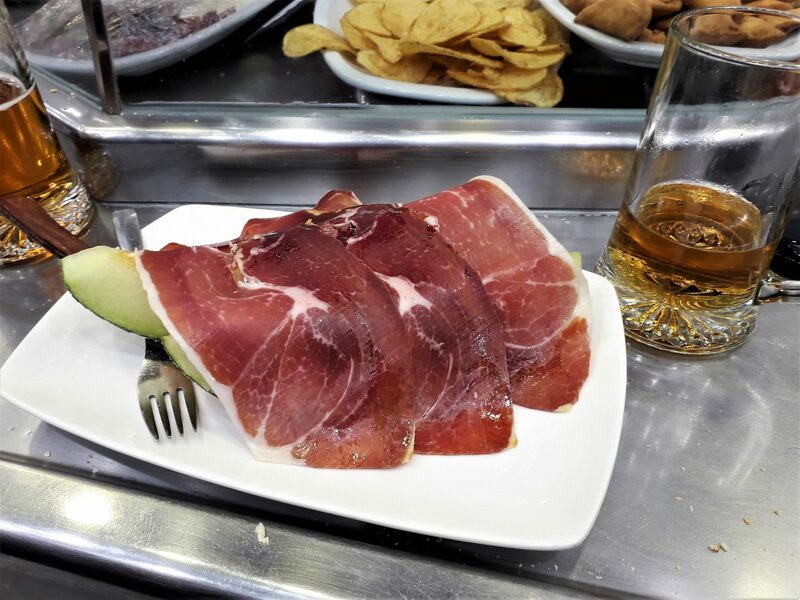 Upon my arrival I thought I would be able to eat jamón serrano for days on end without needing a break. And I did, but I also needed a break. 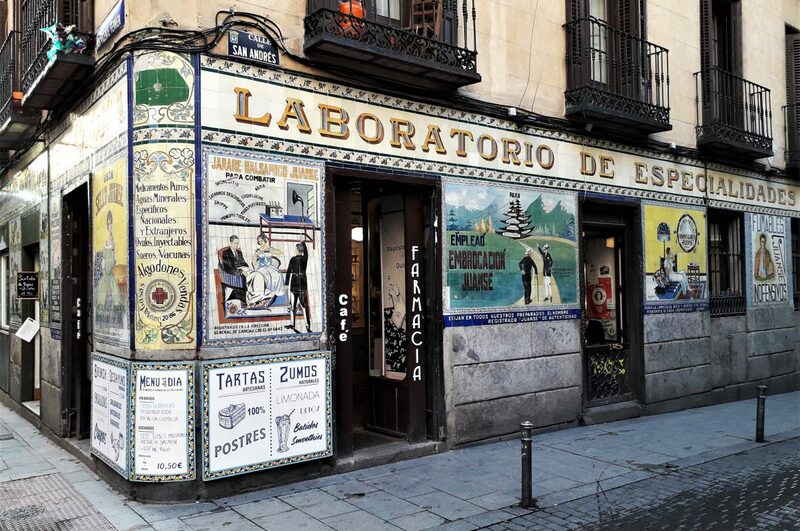 While walking with my friend around Malasaña after visiting the Del Prado, I came across a restaurant called “Las Noches de Moscú.” Now, to put it simply, I am a simple man; I see pelmeni on a menu, I order. 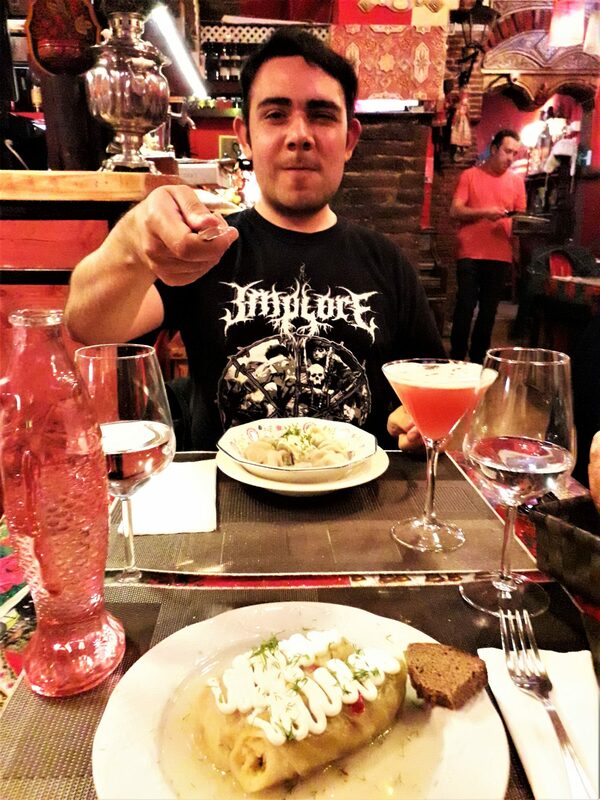 My friend then asked whether I had come to Madrid to eat Russian food. Guess not, but I’ll take any chance I get to eat dumplings—whether pierogi, pelmeni, vareniki, khinkali, or manti. The next day I ate ham again. In terms of architecture, Madrid is as majestic as they come. However, my interest in this side of the city was limited to seeing it but not exploring it due to the fact that I only had four full days there. I avoided the main areas of the city center, happened to see the Plaza de Cibeles almost by accident after a night out—full, as it was, of drunken Real Madrid fans and cop cars, and only went to the Puerta del Sol to go to the Museo del Jamón. However, one of the highlights was going for a stroll along the Paseo del Prado at night, which I wholeheartedly recommend doing. 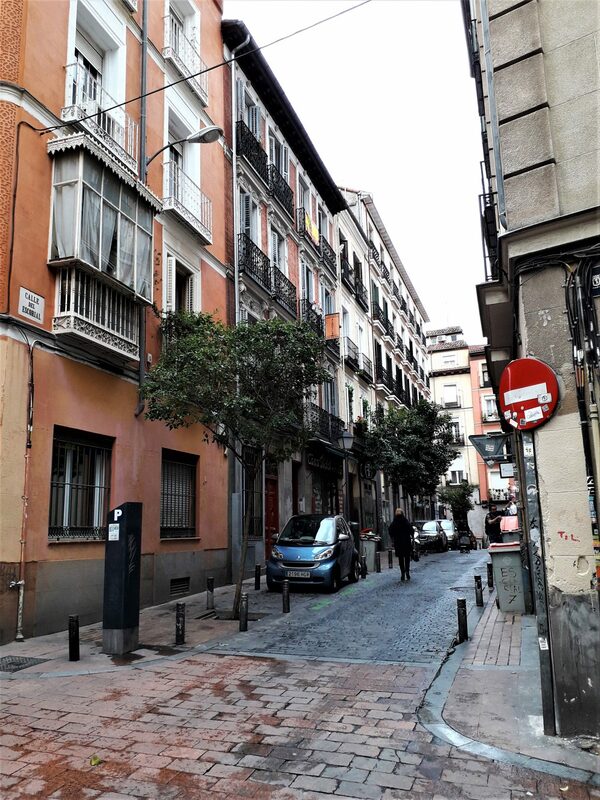 See, I was more interested in exploring the more alternative sides of the city, namely the barrios of Lavapiés, Chueca, Malasaña, and La Latina. 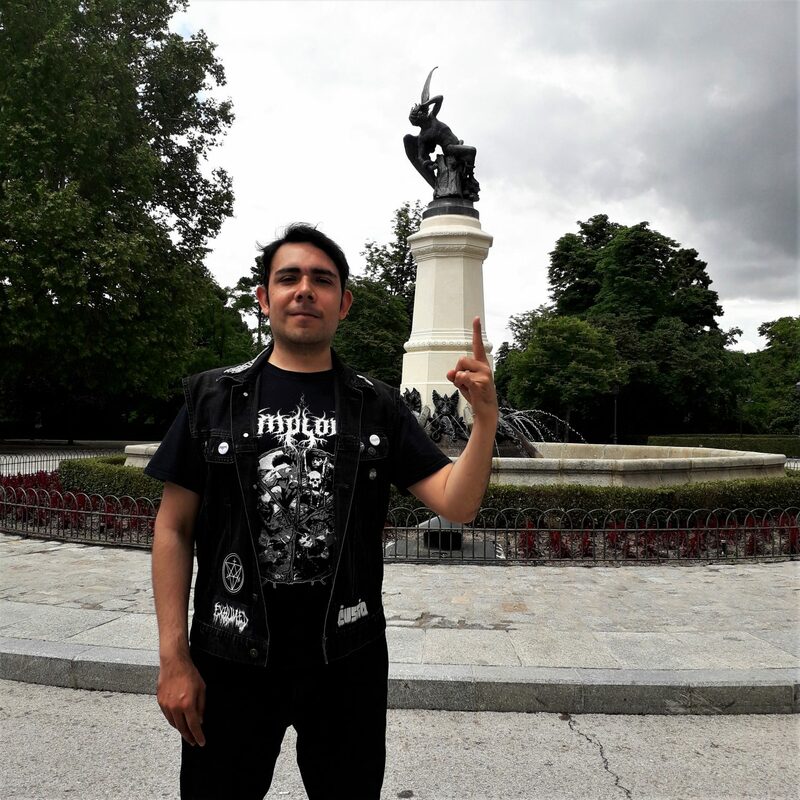 I was told Argüelles is home to several Punk and Metal bars but couldn’t make it up there due to reasons of time. These neighborhoods are conveniently located close to the city center. As above, so below. 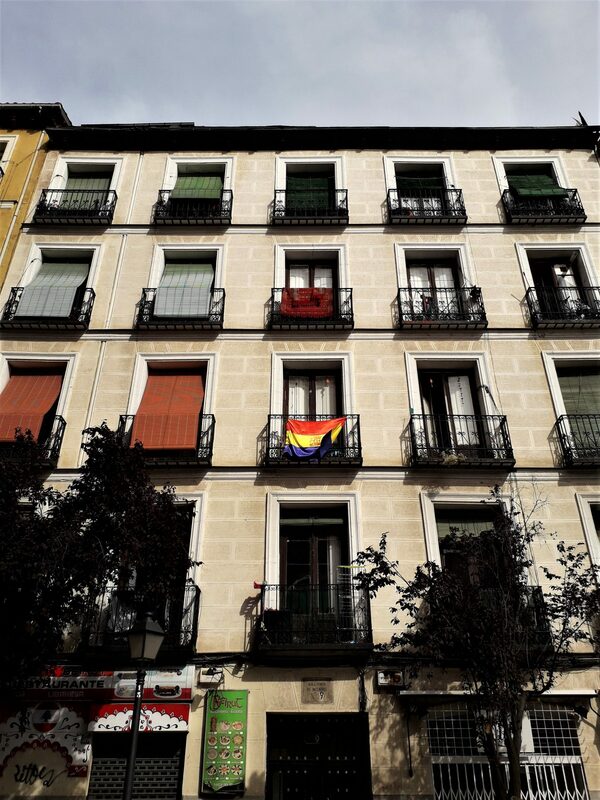 Chueca, the Gay quarter, is just off the Gran Vía Metro Station north of the City Center and is adjacent to Malasaña—a Bohemian neighborhood of beautiful tall buildings from the 19th century and excellent bars. The center of the action in Malasaña is the Dos de Mayo Square. 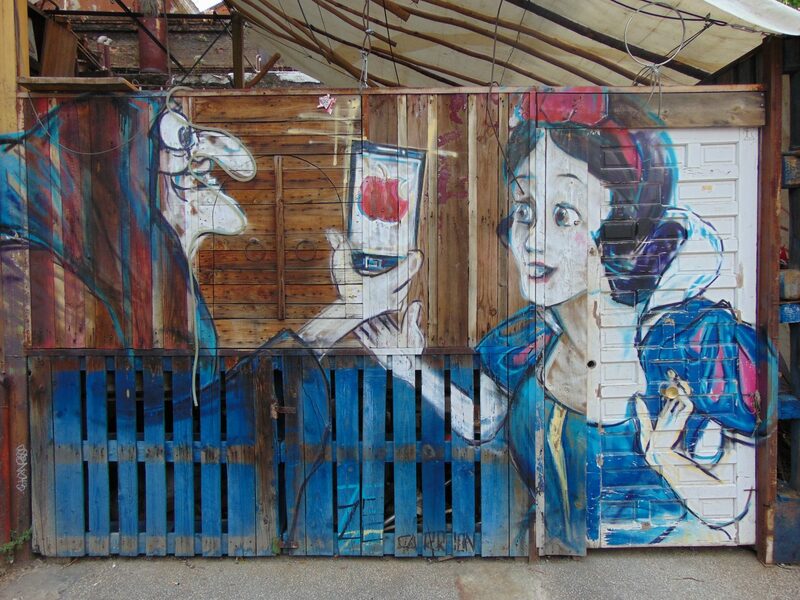 South of the city center is Lavapiés, which borders with La Latina. 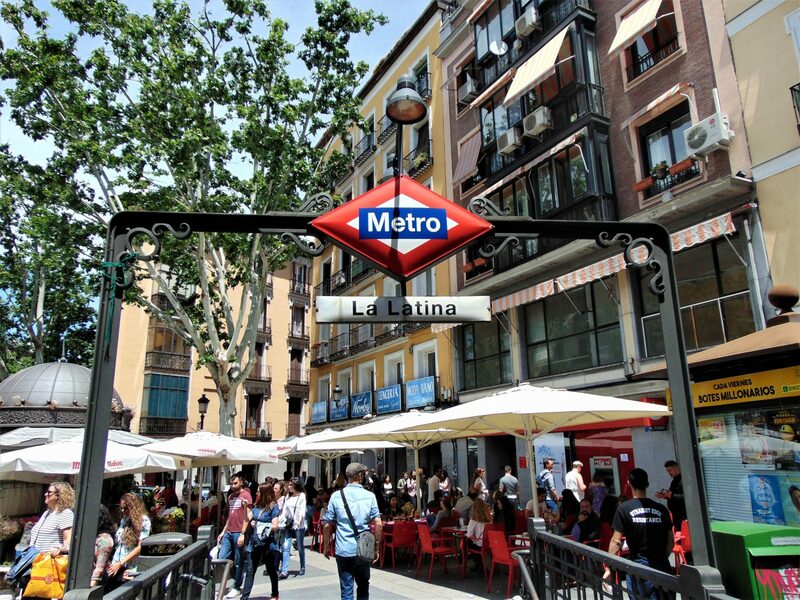 The whole area is great for walking, namely within the triangle formed by the metro stations Tirso de Molina, Lavapiés, and La Latina. The atmosphere in these parts of town is miles away from that in the city center. The hustle and bustle of the capital dies out in favor of the slow pace of a small town, where people sit outside in public squares without a damn care in the world and talk, smoke, and drink coffee. 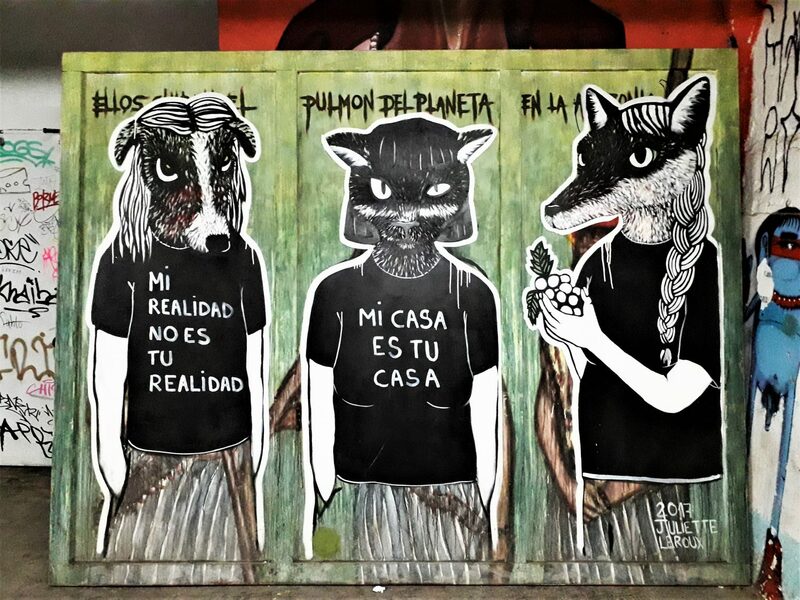 It’s precisely that care-free spirit in the Bohemian parts of Madrid that I know from Mexico and miss here in Hamburg. Javier Marías perfectly summed it up in those lines freely translated by yours truly: Madrid overwhelms the traveler. Your senses are constantly bombarded with grandiose architecture, poems in the subway, the ubiquity of art, and the strong scents of coffee and ham. Life is hectic but in slow motion. My time in Madrid was over before I knew it. In the end, I was very impressed with the city. Well, rather with the vibe of the city in its Bohemian quarters than anything else. Indeed, one of the highlights of my visit was having a beer at the Plaza del Dos de Mayo, just talking and people-watching, and thinking I could sit there for the next ten years. I also loved the food in its delicious simplicity and strong flavors. In the end, I can positively say that all the stuff that that German girl told me about in Hamburg a few weeks before the trip was all true; I ended up loving the city basically due to the same reasons. It was time to go but I wanted to stay. 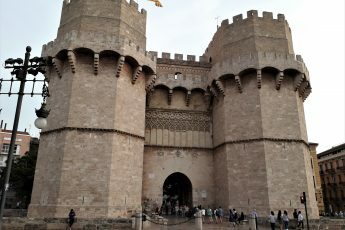 And still, I was looking forward to visiting Valencia. Little did I know that I would end up liking Valencia even more than Madrid. I hope you enjoyed this article! I had a lot of fun writing it for you guys. If you appreciate what I do here, please consider sharing this article with your friends; that would help me out a lot! Also, you might have noticed that it had been a while since my last post on here. However, I’ve been pretty active on social media, so don’t forget to follow me on Facebook and Instagram! Thank you habibi, I’m taking notes for my upcoming trip to Madrid! You’re welcome, habiba! 🙂 Enjoy Madrid! Thank you for documenting this for us Sebastian. I’m planning my Europe Tour with my sister this winter, and our first stop is the UK. Madrid’s on my list after Berlin, and I’m just dying to try out all these. I do hope I’d have enough time. We’d probably be there for a day or two. Keep travelling, my friend!